Samsung is planning to launch its tablet Flagship dubbed Galaxy Tab S2. 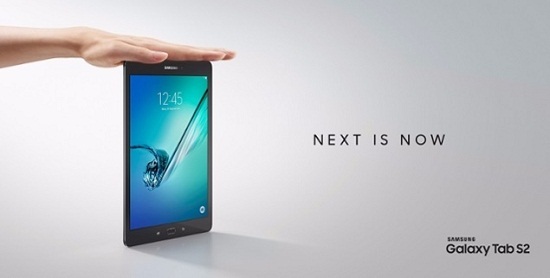 It has been announced by Samsung that Tab S2 is the lightest & thinnest tablet ever manufactured. It will land the shelves starting august and will be available worldwide. Still pricing has not yet been declared, but it would be priced similar to iPad Air 2. To capture the major segment, Samsung will launch in two variants i.e. 8-inch and 9.7-inch. If you wish to buy a Wi-Fi tablet or tablet with Wi-Fi and LTE connectivity, then you can stick to Galaxy Tab S2 because it is available in both configuration when it comes to connectivity. Both the Tablet has Super AMOLED display. Among its Size, Tab S2 is the thinnest tablet accounting just 5.6mm in thickness. It would be a perfect substitute to Apple iPad Air 2 which measure 6.1mm in thickness. It come out-of-the-box with built-in touch enabled fingerprint scanner supporting high-tech authentication and security. It runs on Android Lollipop and has been powered by Quad core processor coupled with 3 GB of RAM. It packs 32 GB or 64 GB inbuilt storage two variants to choose from which can be expanded via. Micro-SD card upto 128 GB. Connectivity includes Wi-Fi, GPS, GLONASS and Bluetooth. Both tablet sports 8mp-rear and 2.1mp-front cameras. Last Flagship Smartphone by Samsung was Galaxy S6 which was successfully accepted worldwide and it has also turned Android market share in US. Both the tablets comes preloaded with Microsoft office and 100 GB cloud storage for first two years. 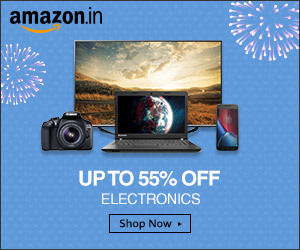 Tablet will fall among the high end tablet and will be priced higher as per the hardware specification and if Samsung is touting as thinnest tablet then it would have impact on the sale of Apple iPad air.